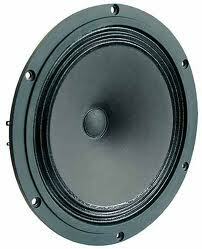 Before I start, I must say, Wikin open baffle (OB) speaker system is one of the best OB speaker system I’ve heard over the years! Dynamic, realism, bass, slam, PRAT, everything are all there. You owe it to yourself if you visited Kuala Lumpur and missed this open baffle audio system! 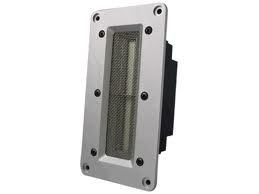 Click here to look at CS’s Open Baffle Audio System (open in a new window). WiKin’s 3 way open baffle speaker system is placed in a dedicated room measuring 12’W x 20’L x 9’ H. The speaker is placed about 7 feet from the front wall to the front baffle and spread 8 feet apart center to center slightly toed in. This room is highly treated with carpet and wall diffusers. The side wall diffusers have extra sponge to help achieve better stereophonic imaging. Click here to look at Direct Heated Triodes(open in a new window). Due to the triode amplifiers that are used to power the midrange and tweeters, there is minimal loss in musicality and transparency but nevertheless due to their single digit W of power, a lot of effort was spent to preserve the dynamics of the amplifier. Also many hours was spent to squeeze every ounce of musical information and detail retrieval. Nevertheless the overall sound reproduction goal is to achieve a comfortable and believable performance and that’s the key to setting up an illusion machine for pleasure. 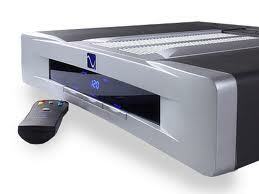 Digital source is using a battery powered HP NX5000 laptop. This laptop has 2 operating systems. 1 is set to run normal windows XP and another OS is set to run windows XP in highly stripped down mode. The highly stripped down mode is used for music. In stripped down mode, there is totally no functionality of other software as they are removed. 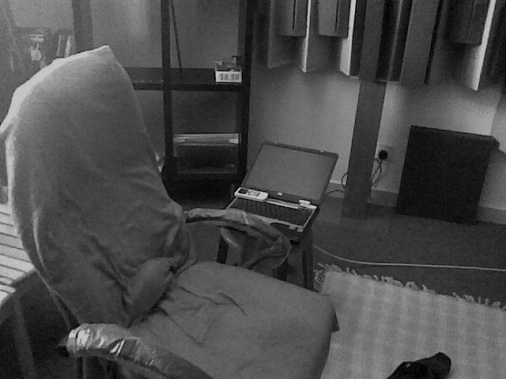 The CPU is clocked into the slowest mode and all other background functions have been disabled. In this mode the digital signatures of music is almost completely removed, rendering a more organic sonic signature. In this mode the other advantage is that the Foobar2000 output buffer can be set to a minimum 50mS which contributes to high quality playback. USB/SPDIF converter is using the venerable M2Tech HiFace. SPDIF cable is connected using BNC connectors via ASTRO digital 75 ohms cable of 12 feet length. Long digital cable is better for music as it helps to reduce digital signal reflections to a minimum. SPDIF from the M2Tech HiFace is fed into a Behringer DCX2496 digital crossover module. Direct SPDIF digital input into the CS8420 chip set – bypass the other input switching circuitry. There are plans to upgrade this CS8420 chip to a CS8416 so that it can replay 24 bit / 192 kHz music. Right now it is limited to 24 bit / 96 kHz only. Output transformers using 6 units of Lundahl LL1517 connected directly to the DAC chip. Output is unbalanced and there are plans to convert to balance. The sound of output transformer coupled is very different from capacitor coupled. Sound structure is more real and correct once compared. This is most likely attributed to less loss in the signal energy when passing through a good transformer. 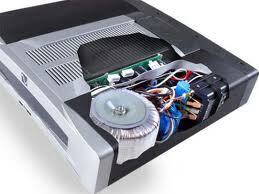 Power supply is rebuilt from linear regulators – removed the stock SMPS power supply. The unit’s stock clock is removed and reclocked using a TentLabs 25.576Mhz clock low PPM module. Side note: Lundahl LL1517 is an audio C-core output transformer housed in a mu-metal housing for balanced to unbalanced drive. A lot of time was spent optimizing the crossover points of Wikin open baffle speaker, frequency equalization and time alignment of the drivers in order to achieve a high level quality of playback. This unit is really the brains of the entire system as it could either make or break the system’s performance. The analog signals from the Behringer are fed to a 6 channel preamp.This preamp is a customized from a Burr Brown PGA 2310 chip set. Oversized R-core power supply transformer with MUR860 rectifiers fit for a Gainclone amplifier was used to power this preamp. Moving forwards there are plans to upgrade this Rotel to a DIY powerhouse amplifier which can provide 150W to each woofer. 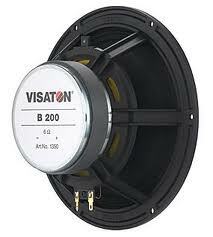 To power the 4 units of 8” midrange drivers (model: Visaton B200) an Audion Sterling amplifier was used. The original tube calls for EL34 but changed to Svetlana 6550C in triode mode without feedback. Another 2 of the same diodes was used in series to the output transformer to serve as a ‘kickback’ diode which help to stabilize the signal in the output transformer. There is improved clarity. To power the 4 units of tweeter (2 front firing is a ribbon tweeter model: Fountek NeoCD 2.0 and 2 rear firing tweeter is Audax), a small China amplifier was used. This unit uses 6P1 output tube and is modified to run in triode mode without feedback. To have clean AC power supply, an unmodified PS Audio Premier Power Plant was used. It is set to 230V. Musical diet includes a wide variety from live performances of Jazz and Folk and Rock, Classical of movie anthems to Simple Girl + Guitar. It really took a long time to setup this large Wikin open baffle speaker to image like a bookshelf speaker and at the hard work has paid off somehow. Soundstage is deep, wide with good image density. That's all for Wikin open baffle speaker system. More pictures and videos coming soon! Stay tuned. Search for review and information about the components used in Wikin open baffle speaker system!